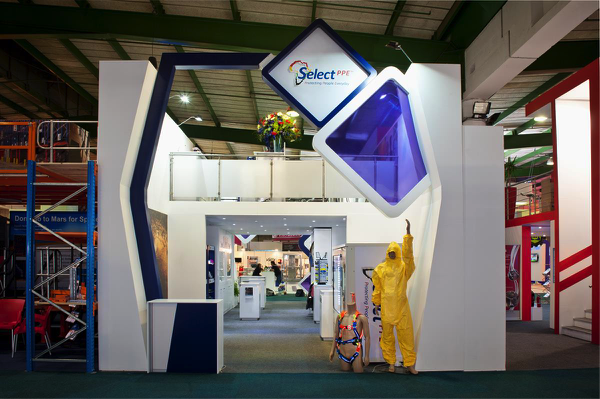 The RedAnt Design team has been super busy designing, manufacturing, and building exhibition stands for a wide range of clients. And if you don’t mind our saying so, the results have been fantastic! Our clients run the full spectrum of industries, e.g. mining suppliers, medical equipment, fashion, food, IT services, and many more. Each company has their own unique marketing needs and requirements. 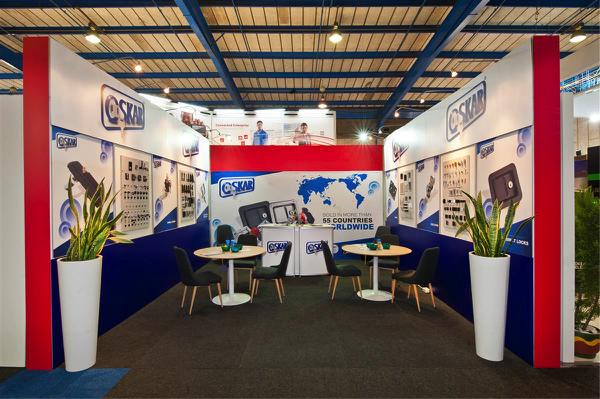 That means when it comes to your individual exhibition stand requirements, it’s no problem. 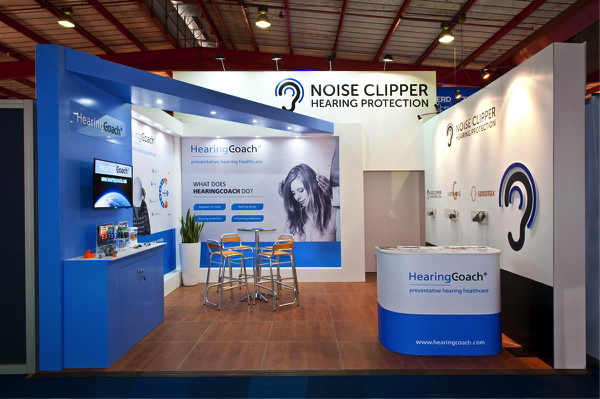 With 16+ years of experience, we have the expertise to conceptualise and create an exhibition stand that will work for you. Even with small budgets we always deliver a professional and effective exhibit. 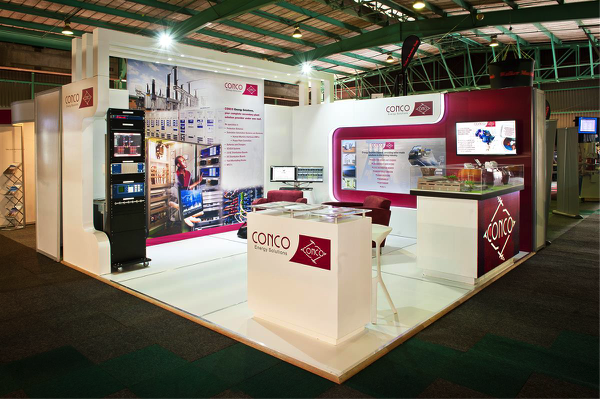 Check out the examples of exhibition stands below. 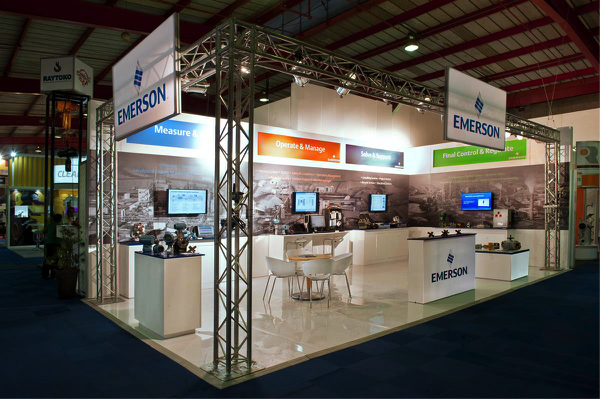 This show is one of the largest mining exhibitions in the world; if the product or service is about mining then it exhibits here. Exhibition display stands at the expo include companies that provide heavy equipment, pumps, engineering, safety support, etc. 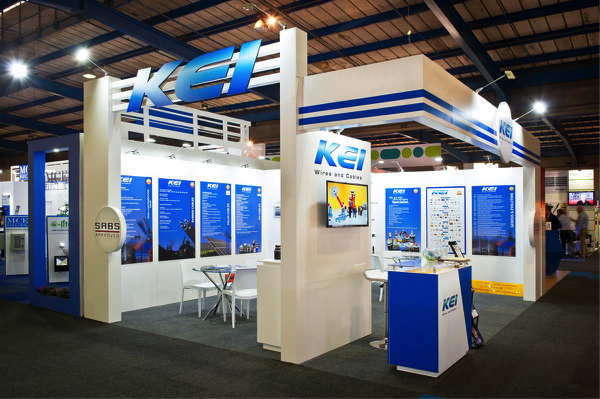 RedAnt Design completed seven exhibition display stands using all of the three options we offer: custom built, aluminium modular system, and CLiP modular system. 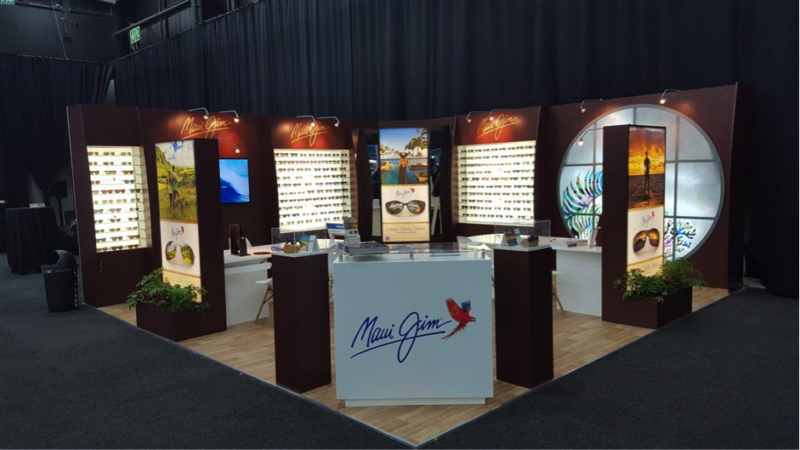 RedAnt Design created this striking exhibition design for global eyewear brand Maui Jim. The display features a Polage art wall. When viewed through Maui Jim polarised lenses, intense images are revealed. 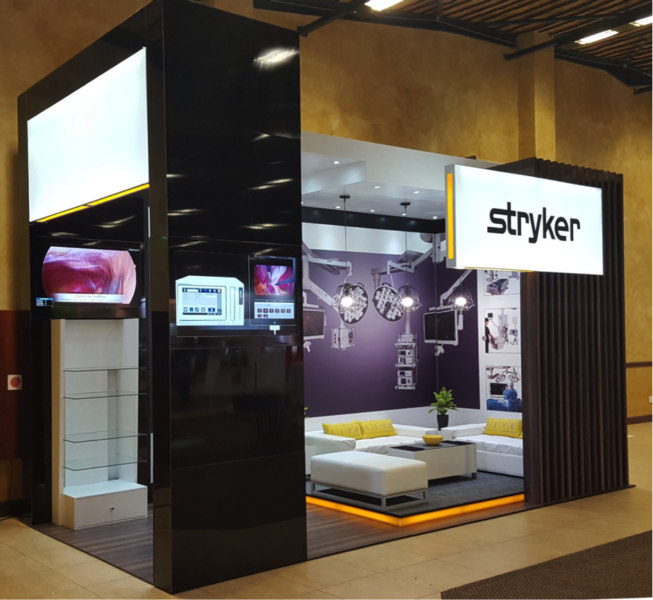 For this medical congress, our client company — a leader in the medical equipment industry — wanted to engage with endoscopic surgeons on current advances in their medical equipment offerings. They also needed a comfortable seating area for colleagues to sit and network. RedAnt designed, built, and delivered a clean, high tech exhibition stand with high-end glossy finishes, yet still with an inviting and comfortable seating area. 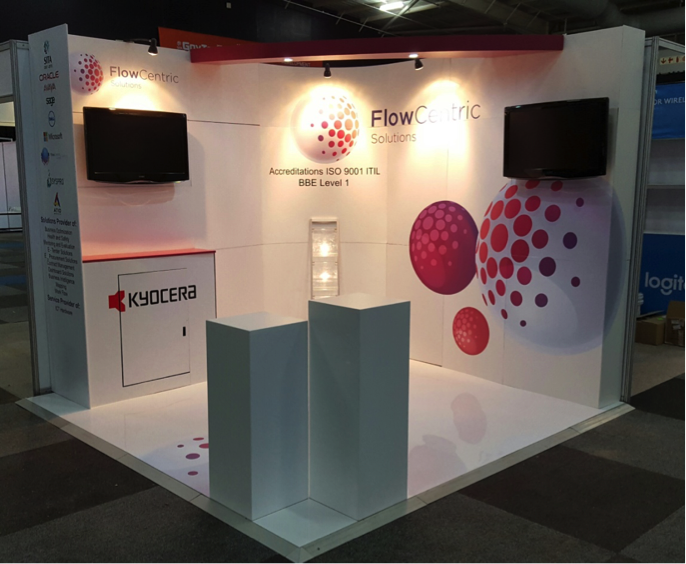 Our client needed a cost-effective display stand for GovTech 2017, which showcases technology to the South African public sector. Even though the display stand was built from a hired modular system, by using our own CLiP modular system, we were able to give it a custom look. Clean. Simple, Effective. 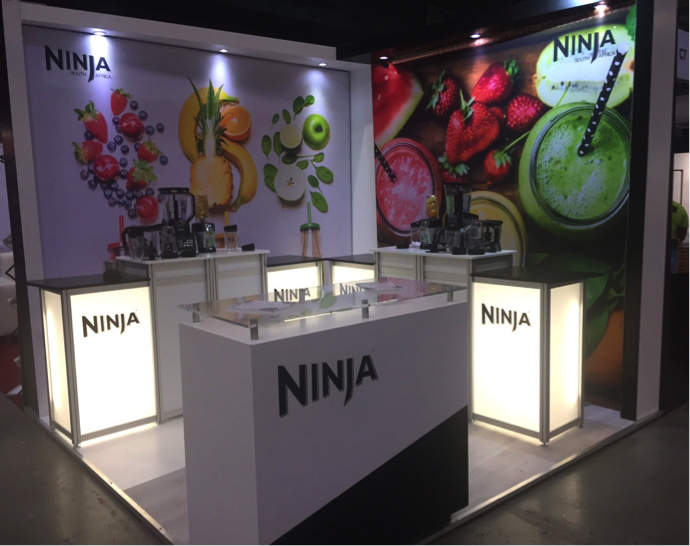 Our client commissioned this versatile and “easy to re-use” modular exhibition stand for The Good Food & Wine Show. It is fully functional for product demonstrations and food preparation. Certain modular parts of the stand will be used separately for mall activations and demonstrations.